The light greenery of the early summer is trembling around Erik and Julia as they shove their children into the car and start the drive towards the house by the sea on the west coast of Finland where they will spend the summer. From the outside they are a happy young family looking forward to a long holiday together. But look under the surface, and their happiness shows signs of not lasting the summer. On the eve of the holiday, Erik lost his job, but hasn't yet told the family. And the arrival of Julia's childhood friend Marika - along with her charismatic husband Chris, the leader of a group of environmental activists that have given up hope for planet Earth and are returning to a primitive lifestyle - deepens the hairline cracks that had so far remained invisible. 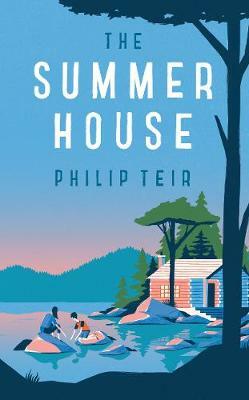 Around these people, over the course of one summer, Philip Teir weaves a finely-tuned story about life choices and lies, about childhood and adulthood. How do we live if we know that the world is about to end?